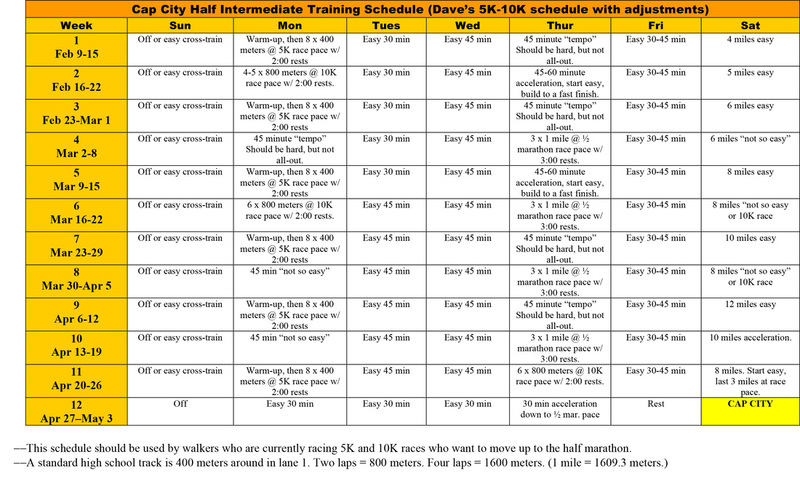 Following are the training schedules we will be using for the Cap City Half Marathon May 3, 2014. 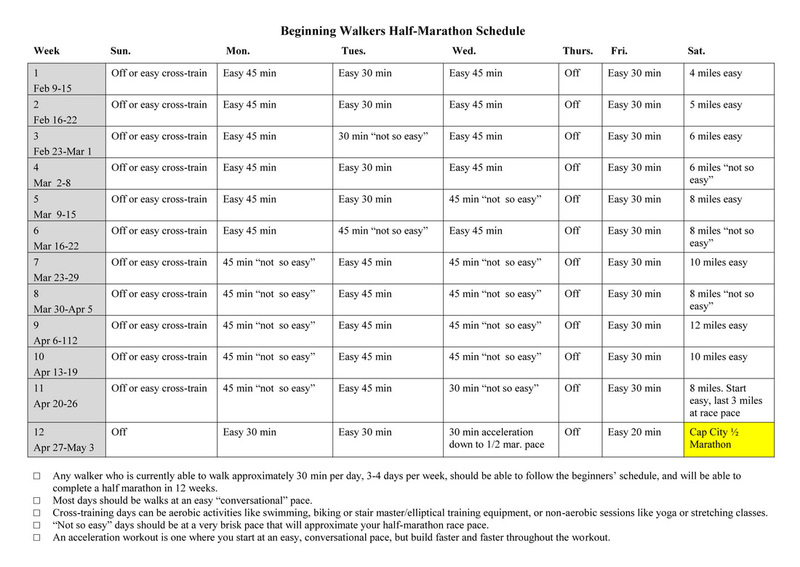 Note the top schedule is what Dave McGovern considers a "beginners" schedule. The bottom one is intermediate. We begin training Monday February 10!